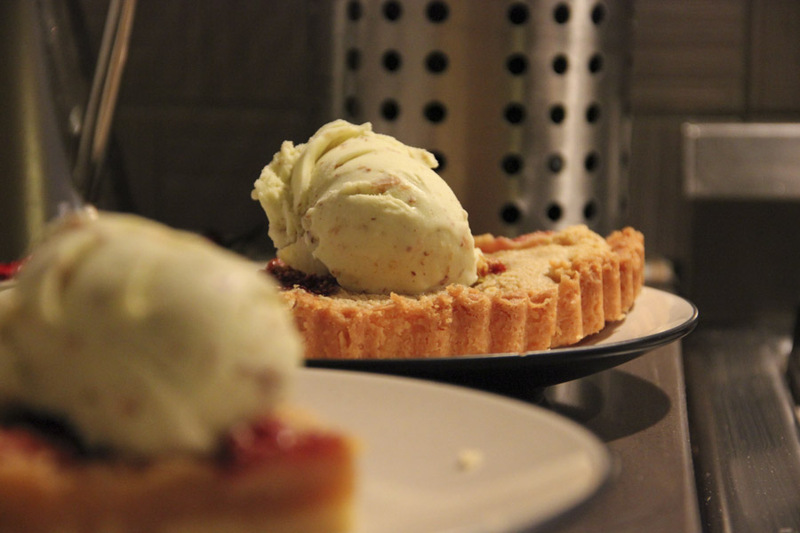 With all the delicous fresh figs I'm picking off our tree on a daily basis, I knew it was only a matter of time before I whipped up a fig inspired dessert. 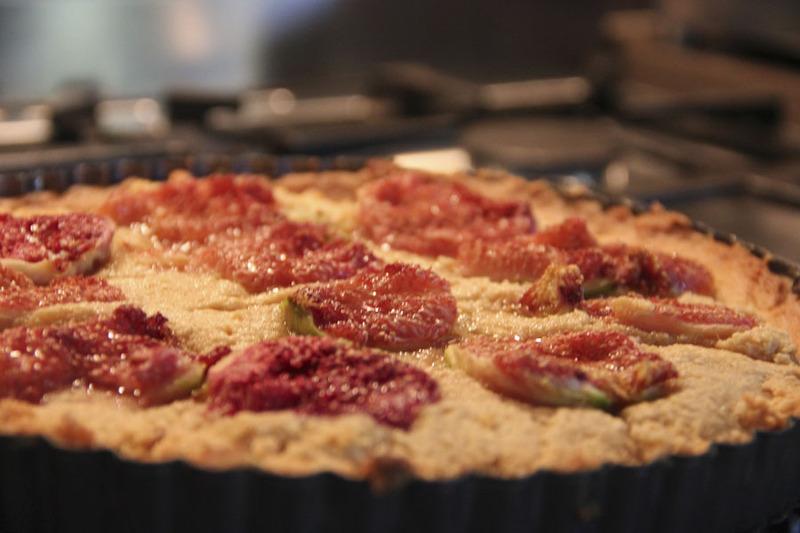 With a little nudging from my pal down the road, I set about making a fig frangipane...which in essence is like an almond tart, with figs. This pastry...is just the bees knees...so buttery and tasty and although it takes a bit of time is well worth the effort. Do refrigerate for the recommended times or it won't bake well. Oh and if figs are readily available to you..you could easily substitute this with pears, apricots, plums or peaches! Place the flour and icing sugar in the bowl of a food processor and blitz for a moment. Add the butter and blitz until you have a coarse sand-like texture. 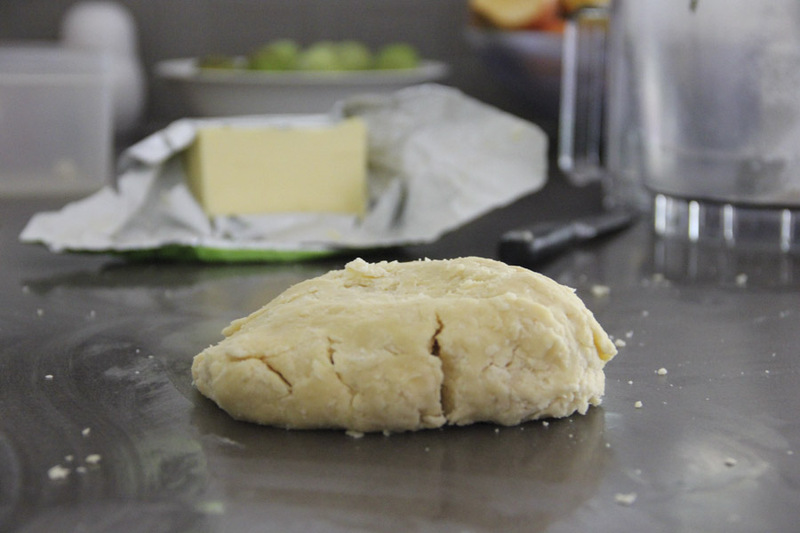 Tip this out onto a work surface and bring together with the palm of your hand and work until you have a lovely, smooth disc of dough. Wrap this in plastic and pop in the fridge for at least 30 minutes. 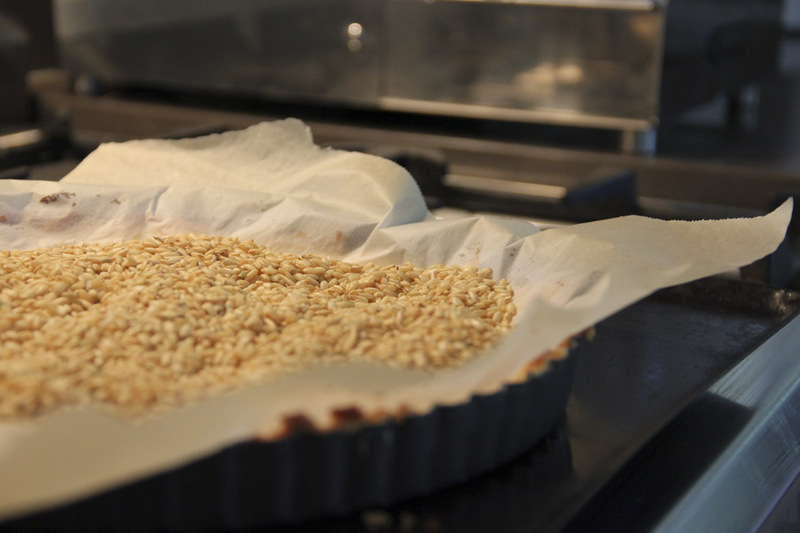 Roll out between two sheets of baking paper until about 5mm thick and drape into a loose-bottomed tart tin. Return to the fridge for another half an hour. When your ready to bake, preheat the oven to 180 degrees and then blind bake the pastry for about 15 minutes. Cream the butter and sugar together until pale and fluffy and add the almond meal, flour, vanilla and egg. Mix until smooth. Spoon in the frangipane mix and smooth out. 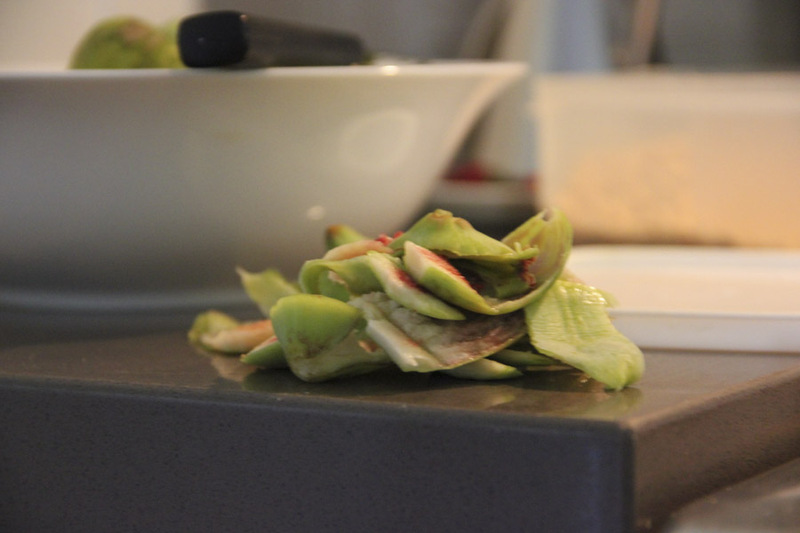 Half the figs and place skin side down into the mixture and bake for 25 minutes or until the frangipane is golden brown and cooked through. Oh My word - YUM!! I am going to raid my in laws trees for this. So much yum! Are you kidding? 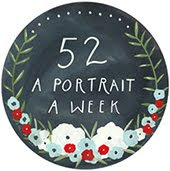 I am so making this!! How amazing. 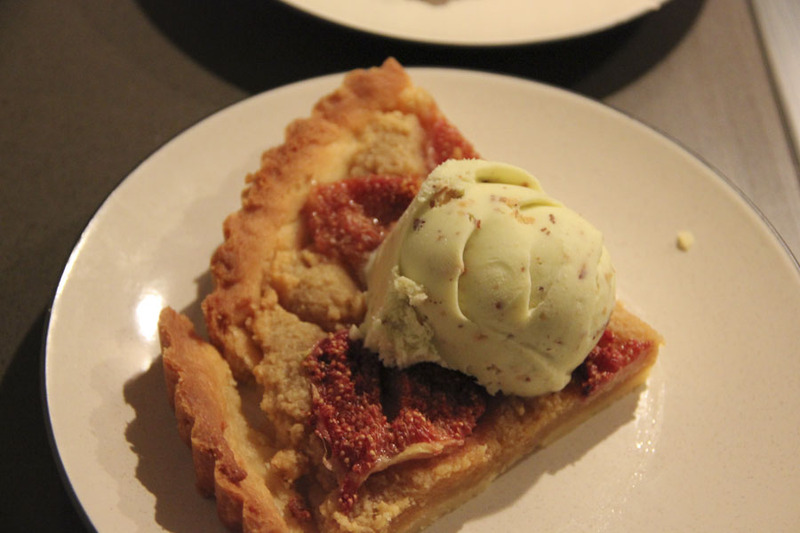 And served with pistachio ice cream. Did you make that too? Recipe please clever girl! !